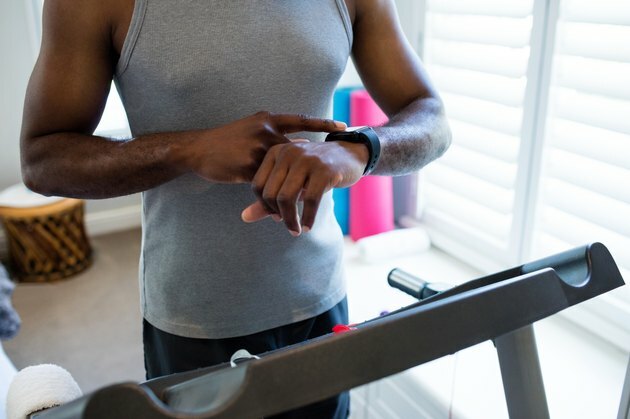 There are tons of excuses to skip your workout — your job, traffic, family obligations or fatigue (because you stayed up too late binge watching Netflix the night before.) Give into these excuses often enough, and they'll sabotage any chances you have of reaching your health and fitness goals. Don't let them! Make exercise more accessible by creating an exercise space in your home that doesn't require a lot of square footage or money. 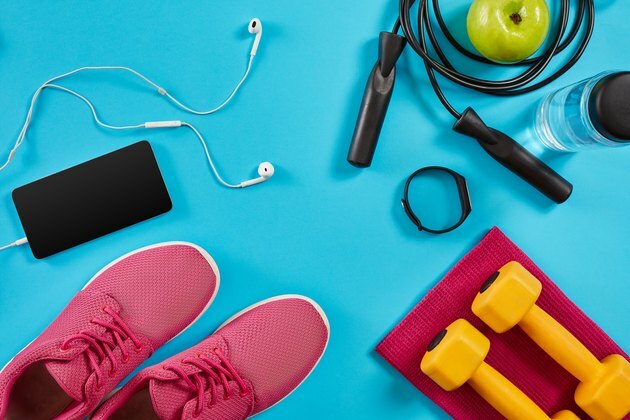 For less than the cost of a year-long gym membership, you can stock your space with all the equipment you need to get a great workout, shower and cook dinner in the same amount of time it takes just to travel to and from the gym. Here's how to do it. The truth is, you can get an effective workout every day of the week absolutely free — all you need is your own body weight. So keep that in mind when you're choosing which equipment you want, because you don't need much. Beyond the basics, anything else is simply more variety or a luxury. When you do your shopping, you can make sure you have all the equipment in the first category, and if there's money left over you can indulge in some items from the second two categories. Your budget will determine where you shop as well. New fitness equipment, especially weights and cardio machines, is expensive. Buying used equipment is considerably cheaper. You may find dumbbells, barbells and cardio machines for more than half the price of new online, and they could be less than a few years old. Even some of those newer "dream items" are up for grabs, as people often buy the equipment, don't end up using it and just want to unload it at a loss. (But you're not going to be one of those people!) Buying cheap workout equipment doesn't mean it's of poor quality. Look at sites like Craigslist, Nextdoor and Facebook Marketplace. "Check out the specs online to see if it suits your needs and space," says Atlanta-based personal trainer Erin Aynes. "Don't hesitate to look at the item in person before committing to purchase it." 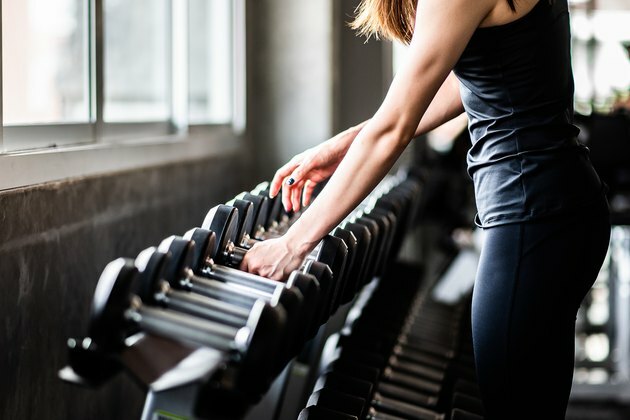 You can also check out some online retailers of refurbished exercise equipment such as Fitnessfactory.com, Premier Fitness Source and Rebirth Fitness. Ebay and Amazon may also have used or open-box items for sale. Yoga Mat: If you're working out on a hard floor, such as hardwood or cement, you'll want a yoga mat. You can use it to do abdominal exercises, as well as for stretching/foam rolling. Jump Rope: A jump rope is a cheap, simple and space-saving way to get in your cardio. Every home gym should have one. Dumbbells: Dumbbells are a classic addition to your home gym, but you don't need a whole set right off the bat if you're on a budget. Three to five pairs is a great place to start; as you add strength, you can add to your collection, and you can sell off what you no longer need. Men typically can purchase weights in 10-pound increments; women usually find 5-pound increments better for them. Resistance Bands: "I like both small bands and larger ones with handles," says Aynes. "The small bands are great for activation exercises — I love monster walks paired with squat jumps, bridge variations, clam shells, kick backs and lateral leg raises. Larger bands with handles will allow you to work on your arms, shoulders, back, chest. I would recommend getting at least two to three bands — light, medium and heavy resistance." Weight Bench: You can use a weight bench for variety of exercises, including bench pressing, step-ups, hip thrusts, flyes and rows. Plyo Box or Exercise Step: These have a have a variety of uses, including performing step-ups and box jumps. Sliders: "My favorite basics are a set of sliders and some bands," says Aynes. "You can come up with a ton of diverse movements with these simple items. Sliders are my most favorite thing for abs. You can do lunges in all directions, mountain climbers and one-arm push-ups with them, too." Well, you can work up to the one-arm push-ups. Barbell and Plates: This is definitely not a must-have for everyone, but if you want to build a lot of strength/power or you want to do Olympic lifting, you should have a barbell and a variety of weight plates. Power Rack: For heavy squats and bench pressing, you'll also need a power rack. A good, simple sturdy rack is not expensive, especially if you buy used cheap workout equipment. Pull-Up Bar: Even if you can't do a single pull-up right now, invest in a pull up bar. You can use a closed-loop resistance band to do assisted pull-ups, and the bar can used for much more than just pull-ups, such as an anchor for resistance band rows and lat pull downs or a TRX suspension system. Cardio Machine: There's no reason you need a machine to do cardio. You can run, walk or bike outside, jump rope or do cardio drills like high knees and mountain climbers. But if you like running on a treadmill, or you're a cyclist who wants the option of training indoors, purchase a machine if it's in your budget and you have the space. Don't be tempted to buy the cheapest model; do your research and choose a high-quality machine (within your budget) that will last. There are many other specifications you'll need to consider depending on the type of machine you're buying. For example, when purchasing a treadmill, you'll have to consider the size of the footprint, motor horsepower, belt size, speed, incline, cushioning and electronic features. These are the bank-breaking pieces of equipment that all your friends are going to want to come over to use. So be prepared for that. High-End Cardio Machines: If you have thousands of dollars in your budget, go big. The newest high-tech cardio equipment has huge Wi-Fi-enabled LCD displays with virtual classes — everything from indoor cycling to personal training — for a monthly subscription fee. All-in-One Gyms: These vary in cost, but some of them can be thousands of dollars. Deluxe versions come with all the bells and whistles — cables, barbells, weight stacks and plates, pull-up bars, leg press and extension, hamstring curl, Smith machine and on and on. Mayo Clinic: Is whole-body vibration a good way to lose weight and improve fitness?